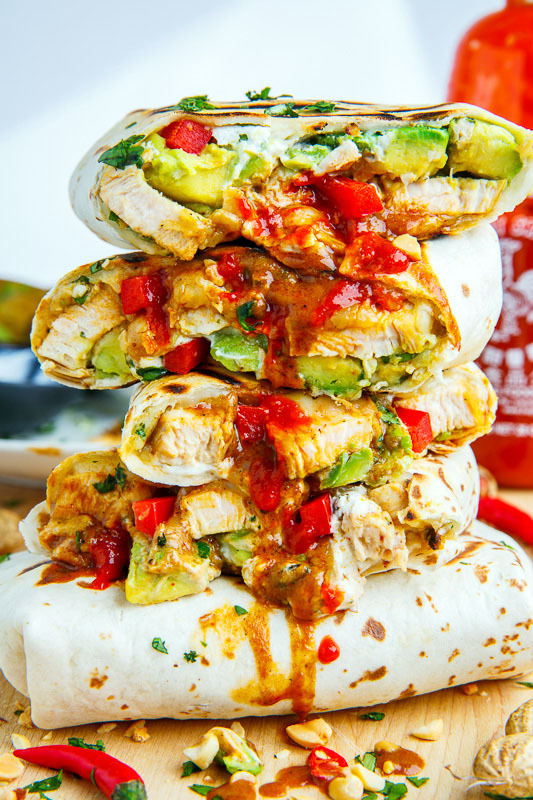 Burritos stuffed with juicy chicken, cool and creamy avocado, oozy gooey melted cheese, a spicy Thais style peanut sauce and sour cream! 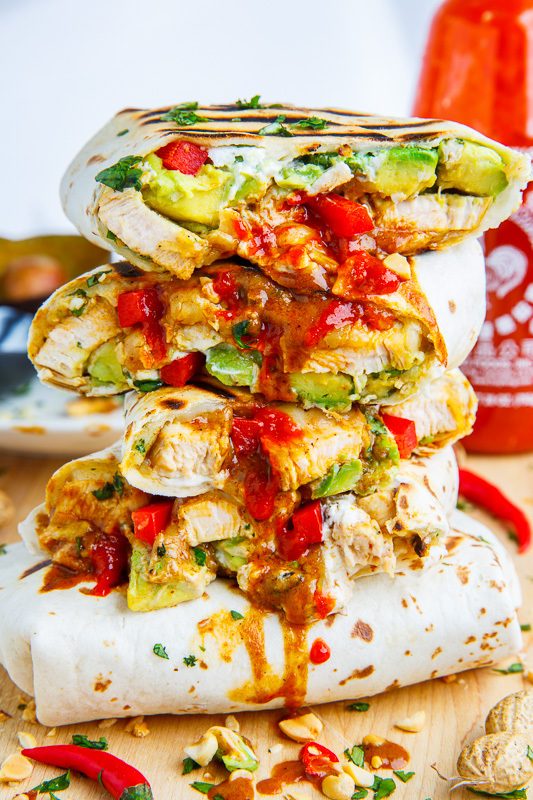 After teasing you a while ago with photos of these tasty Thai style peanut chicken and avocado burritos on Instagram, I finally bring you the recipe and it was well worth the wait! (I often post previews of upcoming recipes on Instagram so follow Closet Cooking on Instagram to see what’s coming!) 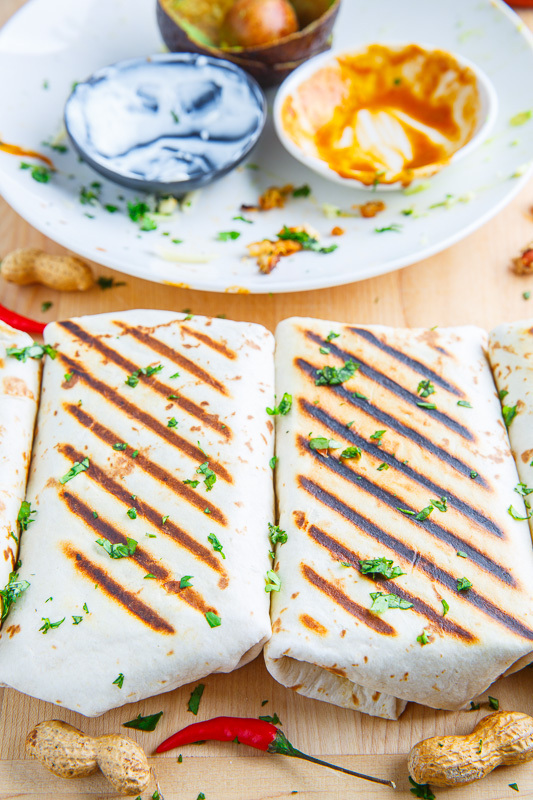 These burritos were inspired by the thai peanut chicken saute that I made recently and I could not help but think that succulent chicken would be simply divine in grilled burritos along with cool and creamy avocados and of course the tasty spicy Thai peanut sauce not to mention plenty of ooey gooey melted cheese! Oh my! 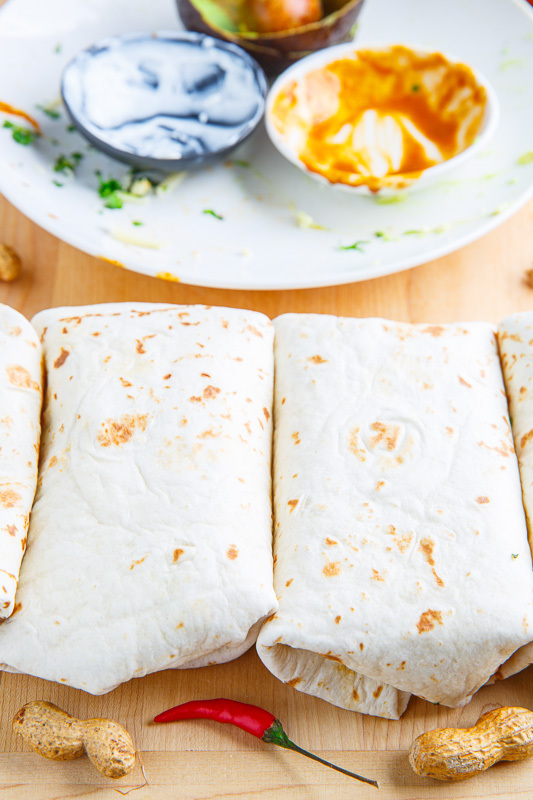 If you are starting off with already cooked chicken and you have the peanut sauce made (or store bought) then these burritos come together in no time flat making for quick and easy meals or even midnight snacks! 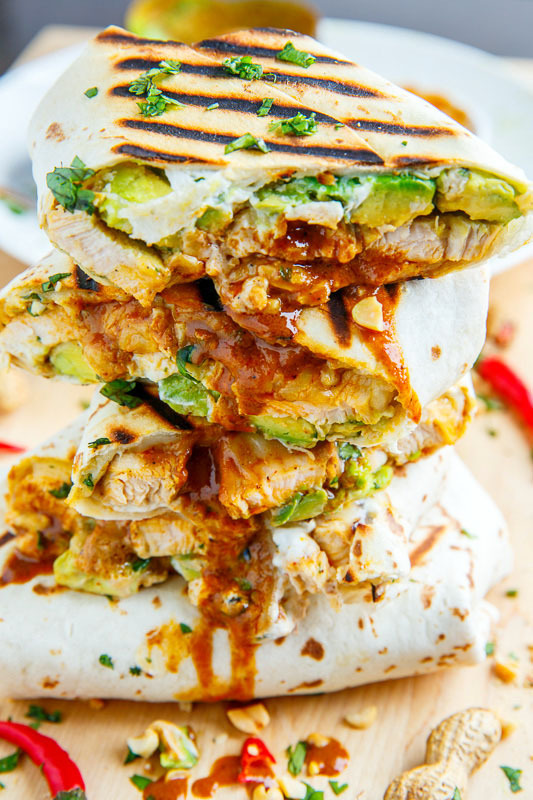 🙂 I hope that you enjoy these peanut chicken and avocado burritos as much as I do; my only recommendation would be to make a double batch because if you are like me you will practically inhale them! Option: Use thai peanut chicken saute or chicken satay instead of plain chicken. Option: Add a sliced red bell pepper! Option: Add extra sriracha as desired! My stomach is growling and i am basically drooling all over. These are incredible. These look gooey, and delicious! You just made me sooooo hungry!! I love that you grill the burritos! They look amazing! 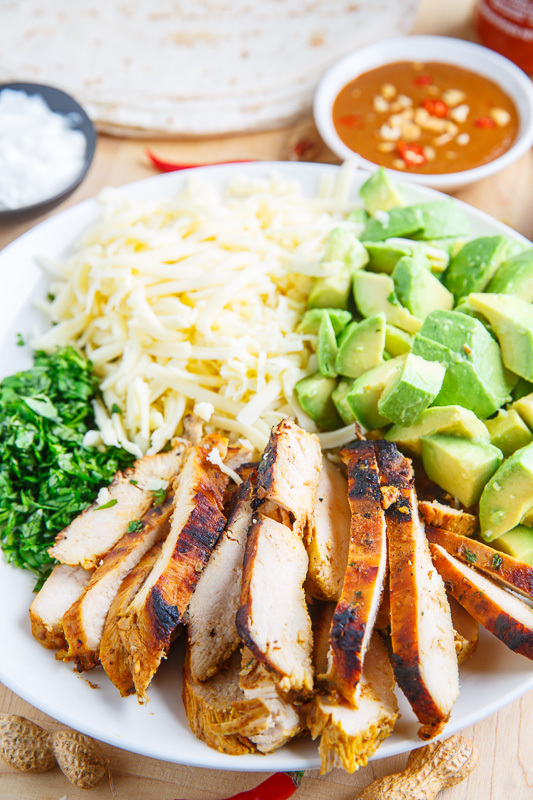 Oh my gosh…need this for lunch today!!! Yum! I just made these tonight and they were delicious. They came together nice and quick too, perfect for a weeknight. Will be adding these to the regular meal rotation!